Did you know that 55 percent of visitors spend less than 15 seconds on a website? Regardless of your industry, product or service, you’re dealing with an extremely small window of time before your visitors head for someone else’s site. To get people to hang around for longer, there are some things you need to do that visitors will see in the first 10 seconds of landing on your site. Here are some specific questions every visitor wants answered in 10 seconds. First and foremost, they’ll want to immediately know what product/service you’re offering. The instant they land on your website, this should be abundantly clear, and there should be absolutely no guesswork involved. Using just a few lines of text is helpful as long as it gets straight to the point. After establishing what your offer entails, your visitors will have an even more pressing concern. How will it improve their lives and solve whatever pain points they’re experiencing? In other words, what’s in it for them and why should they care? This is where you need to communicate your value proposition and lay out for them in no uncertain terms, why they should do business with you. Let’s imagine that you have explained what you’re selling succinctly, and you’ve piqued a visitor’s interest by explaining what the benefits of using your products or service are, visitors will probably then want to gain at least some idea of how much it’s going to cost. We’re not suggesting we should all have glaring price tags on the home page of our websites, but it might be useful to have a clear and obvious link to your pricing information to show you have nothing to hide. Making them work hard for the information is more likely to result in them being frustrated more than enthused. Let’s be honest. Most industries are saturated with competitors vying for the attention of a finite demographic. As we all well know, the fenestration industry is no different and quite frankly, sometimes the differences from one company to another may be hard to see on first viewing. It can help to tell your story, because that will be different to everyone else’s. Don’t go overboard, but revealing a bit about your company’s history, team members, values and so on can give visitors a flavour of the type of company you are and whether you’ll be a good fit for what they’re looking for. 5. Who Else is Using It? People want validation of a product/service before they spend their hard-earned money on it. If you’re able to establish other notable customers/clients who are using it, you’re probably going to put a visitor’s mind at ease, but again, you need to do this quickly and succinctly to get the message across fast. Testimonials are great too, which of course you don’t necessarily want crowding up your home page, but again, let visitors know they exist and give them quick access to where they can find them. It’s important to remember that you’ve only got so much time to impress website visitors and persuade them to take a closer look. Understanding the most common questions that arise in visitors’ minds is essential for creating a positive experience and creating it fast. 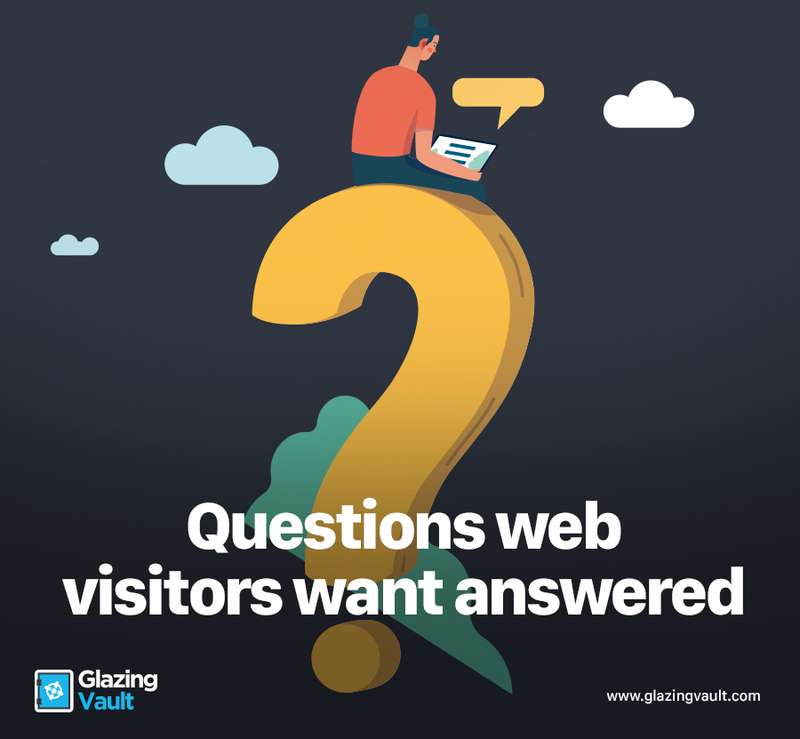 Sometimes it can be useful to review your existing site and ask yourself these questions – would visitors find the answers in the first 10 seconds? Or will they be long gone because they can’t find what they need? We help companies get websites that work online quickly, easily and cost effectively, so if you think your site can be improved, contact us today. What do website visitors want? Developing a new website is exciting, if a little daunting, for most companies. Whether a fledgling business or a well-established firm, getting your online presence right is an important task. On the surface of it, it seems like it’s an easy thing to do, after all we all know our businesses, products and services inside out, we just need to tell everyone about them, right? Wrong! Remember visitors don’t have the knowledge about your company that you have, so if you drown out your key messages by trying to tell them everything from the outset, they’re likely to move onto another site very quickly. To overcome this problem and make sure you make the right first impression, your site needs to be designed and developed with the user in mind. It sounds obvious, but I’m sure we’ve all come across websites that haven’t given us what we want. Here are some things to consider in the structure and design of your website to make sure you’re giving visitors what they want and not just what you think they want. Excellent navigation – your approach to navigation will depend on your business type and the industry in which you operate, but it should be simple and easy to follow. Make sure the key areas of your offering are easy to find and can be found from different directions within your website. Clear structure – there’s nothing worse than landing on a website and being unsure of what you’re meant to do next. It affects the overall user experience and how you see the brand. Make sure in the build of your own website that visitors know what to do from the moment they arrive. State your difference – the product you sell may be the same as the products your competitors sell, but your business is different. Make sure visitors to your website understand why you’re unique and how your difference will benefit them. Complete contact page – people want to know who is behind a website – it makes us feel safer and we are more likely to trust a company if we can see the people behind it. Fifty-one per cent of people say that thorough contact information is one of the most important factors on a website, so the more ways you can give visitors to contact you, the better. Working out what visitors want to see on your website isn’t always easy, but it is worth the effort. Keep in mind that they don’t need to see every single detail of every single aspect of your business online. By including less, you’re making it easier for users to find what they want. And by limiting the information you offer to a certain degree, visitors are more likely to contact you to find out more. 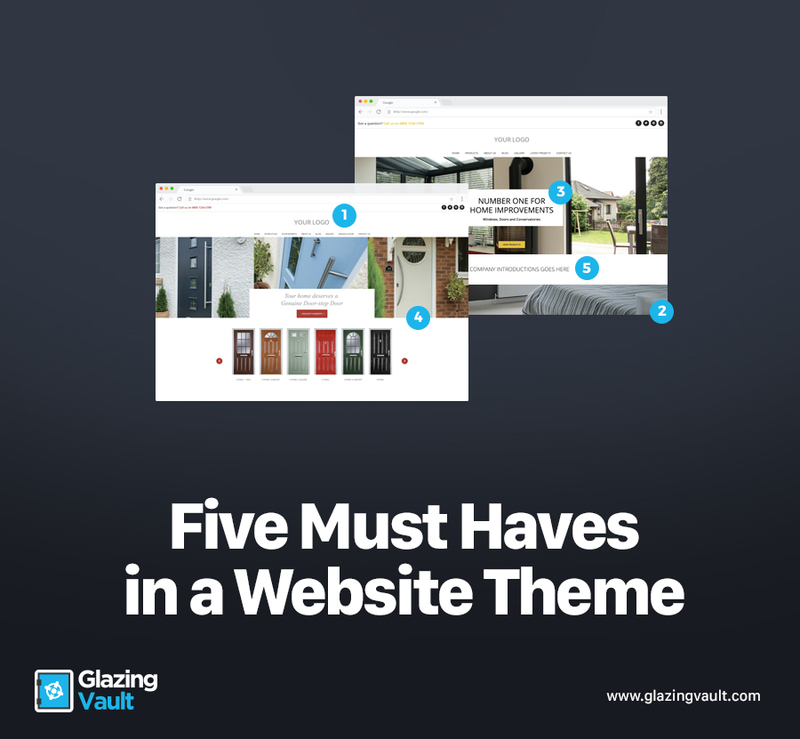 As specialists in the fenestration industry, the team at Glazing Vault have designed and developed a series of cost-effective website design templates that are perfectly suited to the window and door sectors. Each has been carefully thought out to ensure installers and end-users are getting exactly what they need from the completed website and in turn, our customers are getting real results. One of the biggest challenges faced by companies today is generating meaningful leads. Online tools have become an integral part of this process, but that doesn’t mean it’s easy to do. It would be great if we could just add a ‘click here’ button to our home page and sit back and relax while the leads flood in. But unfortunately, this isn’t how it works. Online lead generation needs to be strategic. And don’t think you need to compromise on this if you’re buying a website theme – it’s possible for strategic lead generation to be built into all websites, whether bespoke or ready-made. Here are some of the things that can be built into any site to optimise its lead generating capabilities. Contact forms or prompts for visitors to leave their details should be placed on the pages that get the most views. We know from experience for example that news and blog pages usually get a lot of traffic, because they are updated regularly, so this is always a good place to encourage people to get in touch. It’s also possible to optimise each step of the process – for example if you want someone to visit another page or take action, a button is much more likely to get a response than a link. Simple design techniques that you may not even have thought about other than whether they suit your corporate style, like the use of contrasting colours, can also generate a better response rate. We said at the start of this blog that lead generation isn’t as simple as a button on the homepage but that doesn’t mean you shouldn’t have one! An up-front call to action, as long as it’s the right one, can be effective when used as part of an overall lead gen strategy. Different companies will use this for different things, but a couple of popular examples include a prompt to sign up for a newsletter or updates, or an invitation to sign up to a free trial or sample. The team of developers and designers at Glazing Vault have over 30 years’ experience building websites that generate leads for fenestration companies of all sizes, in all sectors, so even though we offer ready made website design themes, we make sure that strategic lead generation is included as standard. We can also offer additional lead generation tools through our product designers that can be added to an existing site, or a new design supplied by us. Product designers that allow visitors to build their own virtual windows and doors, trying out different styles, colours and hardware options in order to ‘try before they buy’ are a great way of engaging an audience. People enjoy interactivity and are more likely to leave their details if they are getting something in return. 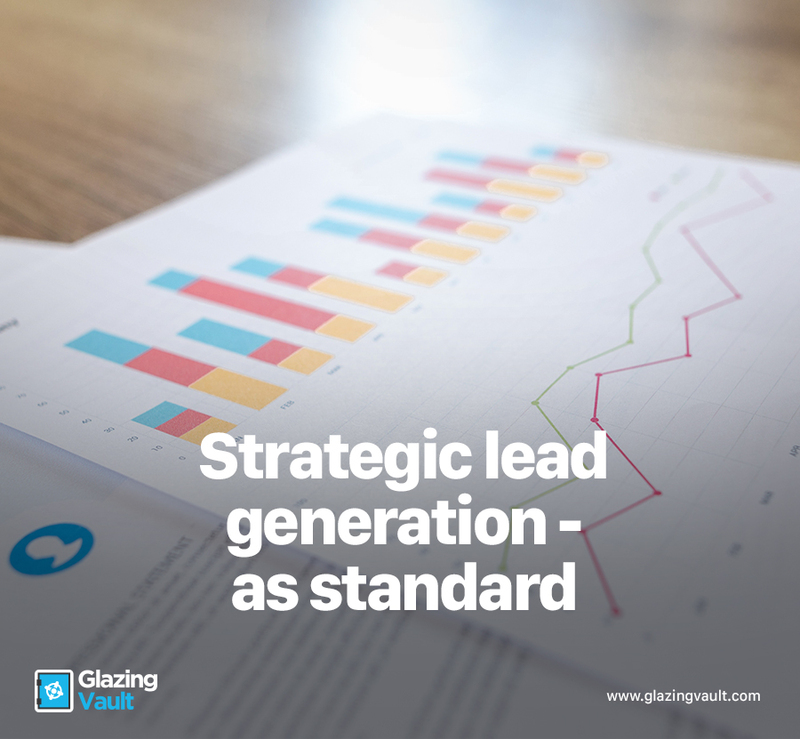 So, if you are looking for all the benefits of strategic lead generation without the expense of a bespoke site, talks to the experts at Glazing Vault today on 01429 239 689. If you’re just starting a new business, or operating on a restricted marketing budget, but still want a website that does you justice, website themes are a great way to go. But choosing from a collection of designs can either be a lot of fun, completely overwhelming, or for most people, somewhere in between. While any good website developer should offer you an array of choice and advise on the best option for you, here are five things to look out for when it comes to setting up a new site from a pre-existing website theme. None of us have a crystal ball, but it’s helpful to plan ahead as much as possible and think about what capabilities your website needs now and what it will need in the coming months and years. It’s much easier to include capabilities in the build up front, even if they are kept behind the scenes to begin with, than it is to start from scratch later. Of course, things change, and new opportunities arise, in which case, hopefully you’ve maintained a good ongoing relationship with your web developer, so you can make changes as and when you need to. Website themes should be more cost effective than tailored websites, but as with any purchase, beware of the really cheap template offerings out there. The price you pay should reflect the experience of the team building your site and the quality of the finished product. In short, pre-designed website themes should offer excellent value for money – that doesn’t mean they should be cheap. There’s a common misconception that if you go down the route of building a site from a website theme, you won’t get the same ongoing support and maintenance as you would with an individually tailored website. Although there are some companies that don’t offer long term support, there are companies that do, so explore all options before you decide who to partner with. It’s easy to think you can manage on your own once your website is complete, but there’s always something that crops up – something new you want to add, changes you want to make that are beyond your abilities, or general updates that need to be made to ensure the site continues to run smoothly. Choosing a supplier that offers ongoing support could prove to be invaluable. This is a no-brainer. If your site is not responsive, your site is outdated. Responsive designs make it possible to adjust the layout of your sites across different screen sizes and devices. An incredible portion of web traffic is generated from mobile and other hand-held devices and this trend will only continue to increase, so if you don’t make your website available to handheld devices, your business will suffer. Most designs today provide responsive, mobile-ready themes. However, there are still some that do not provide mobile-friendly layouts. Make sure you stay away from these aberrations. Last but by no means least, once you’ve narrowed down who might supply your website design, check their experience and if it’s not readily available, ask to see a portfolio of work. Looking at an array of website themes is one thing but seeing them up and running and fully branded and functional, is another thing altogether. A relevant and professional looking portfolio speaks volumes for any supplier. The friendly team at Glazing Vault are always happy to talk through our strong portfolio of work in the glazing industry. We offer advice and ongoing support every step of the way to ensure customers have a website that perfectly fits their business. For more information, please contact us today. Most of us now accept the importance of any business, existing or new, having an online presence. We know that consumers like to research companies and products before they buy, whether or not they make their final purchase online (which an increasing number of people now do by the way). But creating a new website that best represents your new venture, can be daunting. Glazing Vault has worked with hundreds of start-up businesses in the window and door industry and one of the things we often hear is that there’s a perception that there are only two ways to go when getting their new business online – costly professional design and development, or cheap and cheerful DIY websites. However, there’s a middle ground that’s perfect for new companies. We deliver cost effective, professionally designed and developed website solutions that deliver real results. How? We use a collection of design templates that our experienced team can quickly tailor to individual requirements. Design templates are useful because they give companies with lower marketing budgets access to truly professional looking, fully functional websites, in a more efficient way. Choosing a template design doesn’t in any way mean your site will look like everyone else’s either, it will be completely styled with your brand and contain any and all information you want included. It’s the next best thing to having a new website built from scratch, entirely to your specification, which is naturally more time consuming and therefore more expensive. When designed and built by a professional company, these websites will not only look the part, they will also be maintained and regularly updated to make sure they stay current and fresh in terms of design and functionality. We understand the financial pressures on a new business starting out and appreciate the temptation to build a website yourself. With cheap and easy to use options readily available online, it appears on the surface an easy way to save money. However, what might be cheaper in the short term, will almost certainly turn out to be more expensive in the long run. We hear time and time again from people who have had a go themselves and just couldn’t quite get the design right, encountered problems when viewing the site on mobile devices, found the site hard to manage on an ongoing basis and simply didn’t get the results they were hoping for. Even worse, these sites are easier to hack and may not be compliant with all the necessary GDPR regulations. And of course, all of this, takes an inordinate amount of time to put right. The middle ground between creating a website from scratch, entirely built around your business, and doing it yourself, i.e. using a professional web company to tailor existing well thought out templates to your individual requirements, is proving increasingly popular with new businesses and existing companies looking for a refresh, alike. The end result is a professional website that looks just how you wanted it to look and probably has even more functionality that you thought you could afford. With all of this working as it should, you are far more likely to achieve excellent lead generation from your new site too. 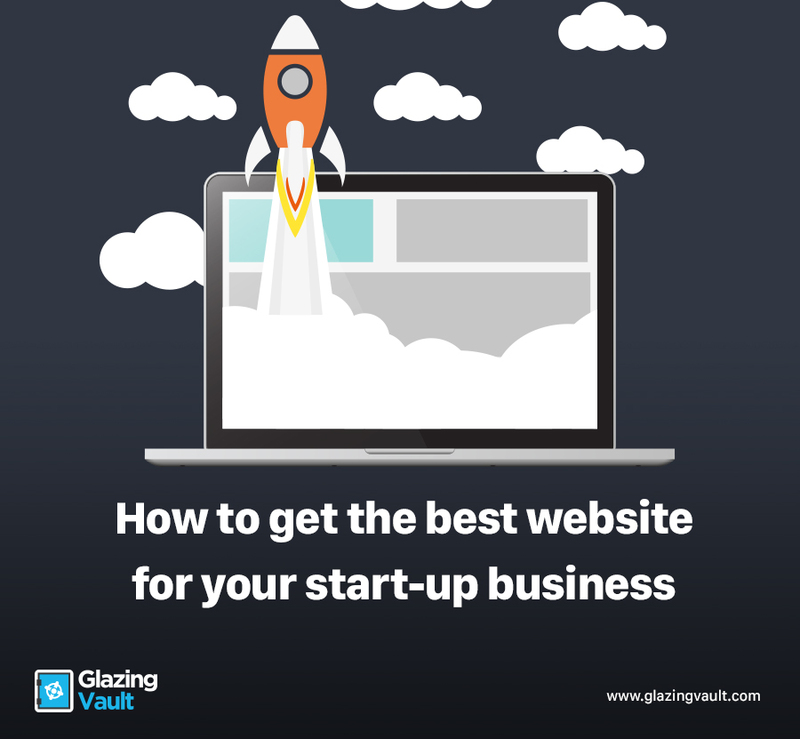 If you or someone you know is looking to give their new business the best start, get in touch with the approachable team at Glazing Vault today to find out more.